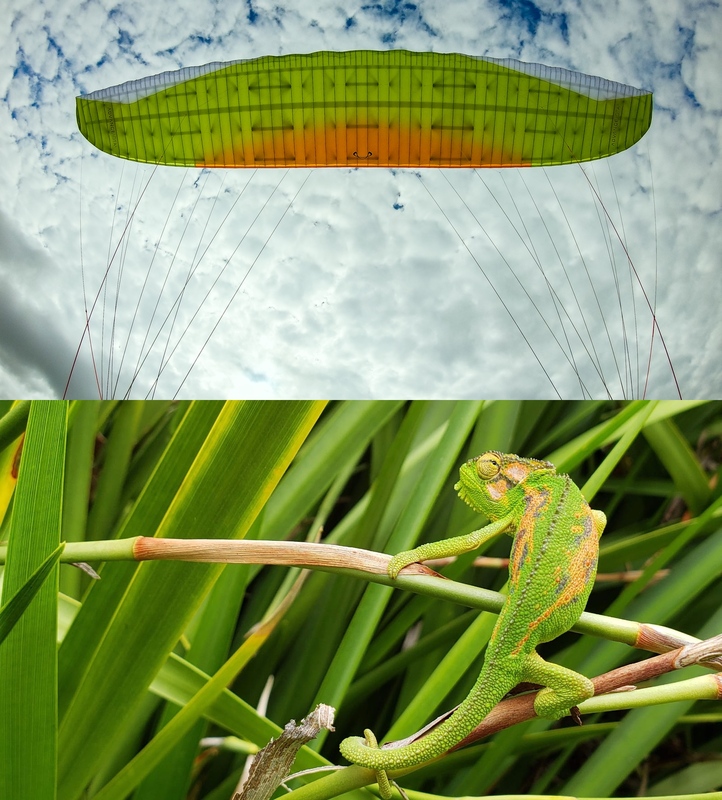 High and low, near and far, micro and macro, slow and fast, grounded and aloft, threatened and free, orange and green, these opposites illustrate the complex tangle of our present lives. The Cape dwarf chameleon was stunningly photographed by Marie this morning in the luxuriant Constantia garden. I extracted the paraglider frame from an airborne video I shot late last year. Suddenly I realize why, out of all the color combinations available for the Iota 2 canopy model, I chose this one! reply Yes! I should have called this Meelion strikes again. reply A beautiful combination of a beautiful cooperation. You're quite a couple, you two.